Johannesburg - The payments Eskom made to McKinsey and Trillian were criminal, consisting of crimes including fraud, theft, corruption and money laundering. The payments were also a deliberate and fraudulent circumvention of Eskom’s supply management processes. This was the conclusion of the strongly worded founding affidavit for an ex parte property preservation order which was presented before the North Gauteng High Court by the National Prosecuting Authority (NPA) against McKinsey, Trillian and Eskom. In the affidavit Motlalekhotso Molelle, an acting special director at the NPA and head of operations at the asset forfeiture unit, asked the court to appoint a curator bonis to preserve property worth R1.59bn - the total amount of the “illegal” payments made to McKinsey and Trillian by Eskom. 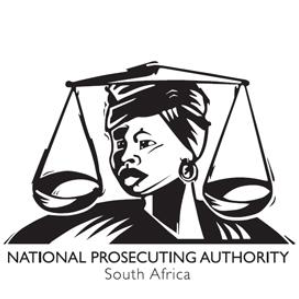 Molelle quoted supporting affidavits of a senior financial investigator at the NPA, Samson John Schalkwyk, which stated that the property they attached was the process of unlawful activities. "Eskom, in contravention of its procurement processes, had unlawfully paid a total amount of R1 595 228 913.29 without a valid contract and for services purportedly rendered," Schalkwyk said. Several Eskom officials had colluded with McKinsey in fraudulently circumventing Eskom’s procurement processes to the benefit and advantage of McKinsey and Trillian, and to Eskom’s detriment. The affidavit said the R1.59bn was paid over six months in two tranches: R1bn to McKinsey and R595m to Trillian. Schalkwyk’s affidavit shows that McKinsey addressed a letter instructing Eskom to pay Trillian directly, knowing that no valid contract existed between them, that Trillian did not render any services to justify the payment and that Trillian was not a legitimate service provider. "It is evident that the McKinsey’s letter to Eskom played an instrumental role in creating a veil of legitimacy to what was otherwise a nonexistent, unlawful arrangement and essentially a sham," Schalkwyk said. He said that McKinsey had unlawfully facilitated the theft of funds from Eskom. "Both McKinsey and Eskom were willing participants who colluded in what can be described at best as a scheme that was designed to unlawfully drain funds out of Eskom." The NPA used a letter by McKinsey’s senior partner, David Fine, where he acknowledged that the purported contract was invalid and undertook to repay the money to South Africa, to show as further proof that the entire R1.59bn payment constituted the proceeds of unlawful activities. The “consultancy” services envisioned by McKinsey and Trillian included unlocking of cash by optimising the balance sheet, the development of a top engineer’s programme into an internal consultancy unit in Eskom, procurement of inventory management and generation and claims management. The affidavit also included the testimony of several people who made submissions during a parliamentary inquiry on the mismanagement of funds in state-owned entities. This included the testimony of Mosilo Mothepu, CEO and executive director at Trillian, who raised concern with Trillian Capital Partners CEO Eric Wood that they did not have signed contracts with Eskom, Transnet, Denel and South African Express - yet continued to provide financial advisory services and be invoiced for work which was sometimes not done. It also the testimony of Bianca Goodson, who had also been a CEO of Trillian. She noted that her signature had been fraudulently used on one of Trillian’s invoices and that Trillian did not have the employees to conduct any billable work during the first quarter of 2016. Schalkwyk said he also looked at the investigative report done by G9 Consulting and Advisory Services. This included the testimony of Eskom employees who said a board submission document was given for employees to create a contract on the SAP system in favour of Trillian, without it being clear what work Trillian was doing. Molelle explained why crimes of this nature are particularly detrimental to developing countries like South Africa, which have strained and overstretched resources “that are hardly adequate to extend the much-needed services to the people”. He said that not only did this result in national revenue loss, but also in skewed allocation and distribution of resources. He said spending on critical services and maintenance on existing government infrastructure was reduced or delayed because of it, leading to a failure to deliver much-needed services. “The resultant disinvestment and job losses tend to ultimately have a spiralling effect on the safety and security of the citizenry,” Molelle said.